The Maritime Experiential Museum and Aquarium (MEMA) is Singapore’s first maritime museum and what makes it distinctive from other museums is that it boasts a themed environment along with a variety of complementary exhibits. It brings to life the Maritime Silk Road via life-sized replicas of historic ships, shipwreck artefacts, interactive exhibits and educational programes for everyone. 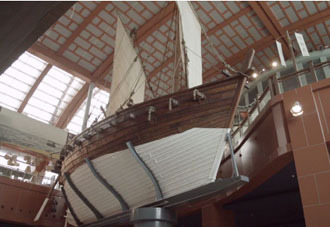 One of the main attractions in the Experiential Maritime Museum is the “Jewel of Muscat,“ a replica of an Omani dhow from the 9th century AD that was found In 1998 off the coast of the Indonesian island of Belitung. a mixture of goat fat and glue. Once finished, it set sail to Singapore. The journey from Muscat to Singapore was successfully undertaken from February to July 2010 under the Omani captain Saleh Said Al Jabri. 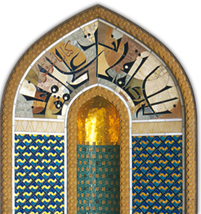 He sailed the ship using navigational techniques of the 9th century. 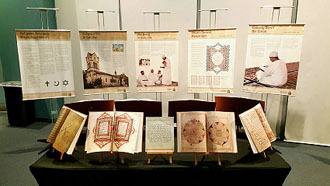 Presented in this context, the exhibition “Tolerance, Understanding, Coexistence - Oman’s Message of Islam” opened a view on Omani society to the visitors of the museum.